The byerSelf music is considered a progressive adaptation of classic jazz through multi-genre original compositions and searing improvisation. 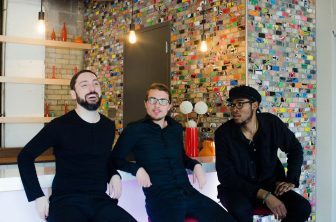 Greg Byers has teamed up with jazz piano virtuoso Javier Santiago and percussion savant Arthur “LA” Buckner to defy the norms of your typical jazz trio. Untethered by tradition, byerSelf uses its platform to make bold artistic statements that capture and respond to the sociopolitical and environmental issues defining our era. The group is effervescent and they embody the mission of perpetuating the joy of live jazz to their listeners. **Please be sure to check our website, www.cancanwonderland.com, for the most up-to-date information!